Satan is no play or pretend thing. He and his power are real and intended to harm. 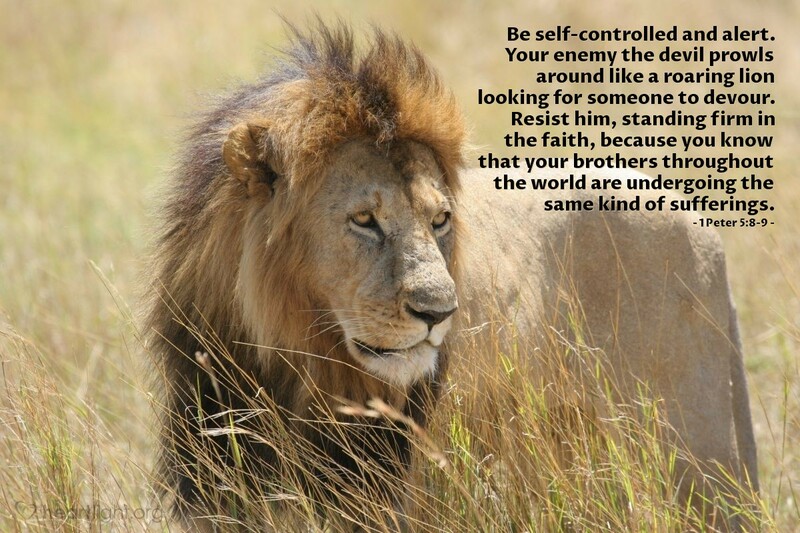 But rather than spending our time worrying about him, let’s resist him when we are tempted and focus on Jesus. He’s the one who won the big showdown at Calvary, triumphing over Satan. He took Satan’s greatest tool and disarmed it. Now we can resist and Satan will flee. Thank you, Almighty God, for sending Jesus to break Satan’s stranglehold over us. Through the Savior’s death you have assured me that mine won’t be the end of our relationship, but the beginning of life with you. Today, however, I ask that you help me especially resist Satan’s power over my life in the following ways… Through power and in the name of Jesus I pray. Amen.